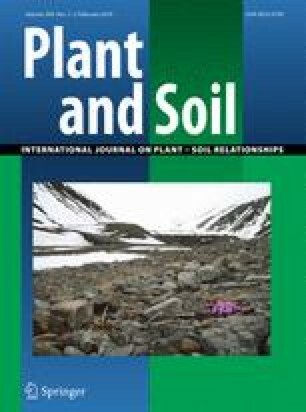 Do techniques based on 15N enrichment and 15N natural abundance give consistent estimates of the symbiotic dependence of N2-fixing plants? The primary aim of this review is to determine if methods based on 15N enrichment (E) and 15N natural abundance (NA) give consistent estimates of the proportional dependence of N2-fixing species on biological N2 fixation (P atm), and secondly to attempt to explain any inconsistencies that may be found. Published estimates of the symbiotic dependence of N2-fixing plants based on E and NA techniques applied in the same experiment were compared across scales from glasshouse pots to field plots to landscapes in agricultural and forest ecosystems, which included grain legumes, pasture and forage legumes, and woody perennials. A meta-analysis of the published data was based on correlation coefficients, box-plots and confidence intervals of means. In some studies, estimates were reference plant dependent for both E and NA techniques, indicating temporal and/or spatial variations in the natural and artificial distribution of 15N, which can sometimes result in erroneous negative estimates of symbiotic dependence. While significant correlations were obtained between E and NA estimates of P atm for each of the three groups of N2-fixing species, the probability that the methods provided estimates of P atm within −5 to +5 % of each other was 0.29 or was 0.54 within −10 to +10 % of each other. We have identified a number of interacting factors that may contribute to the inconsistent agreement between estimates of P atm by E and NA techniques, which underlines the need for a re-examination of the fundamental assumptions on which each method is based, and whether those assumptions are valid in any given situation. The senior author thanks the Fundação de Amparo à Pesquisa do Estado do Rio de Janeiro (FAPERJ) for a visiting scientist fellowship (Pesquisador Visitante No. 101.466/2014) and EMBRAPA-Solos as the host Institution.